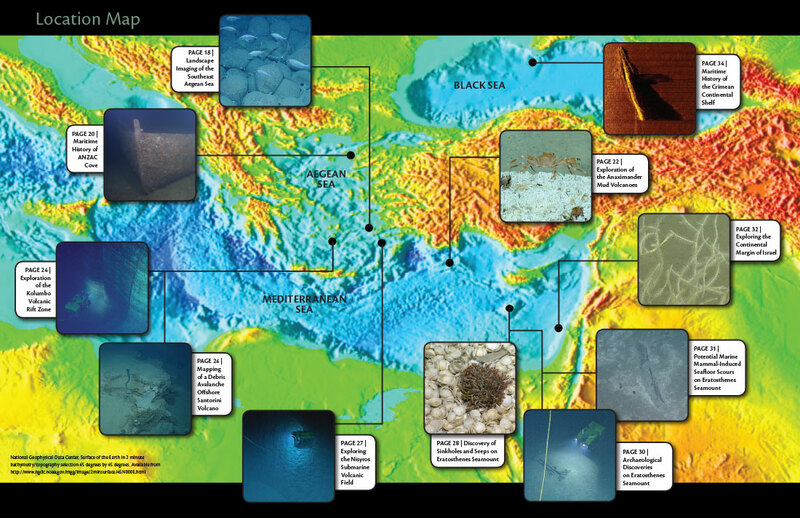 New Frontiers in Ocean Exploration: The E/V Nautilus 2010 Field Season is the first consecutive March supplements to accompany Oceanography. These booklets provide details about the innovative technologies Exploration Vessel Nautilus deploys to investigate the seafloor and explain how telepresence can both convey the excitement of ocean exploration to global audiences in real time and allow scientists on shore to participate in expeditions. The supplements also describe the variety of educational programs the Ocean Exploration Trust supports in partnership with schools, museums, and aquariums; internships that bring high school students, undergraduates, graduate students, and teachers on board Nautilus; and the preliminary results from the past year’s field season. Through these supplements, we have explored the geology, chemistry, biology, and archaeology of the Mediterranean, Aegean, Black, and Caribbean Seas. Bell, K.L.C., and S.A. Fuller, eds. 2011. 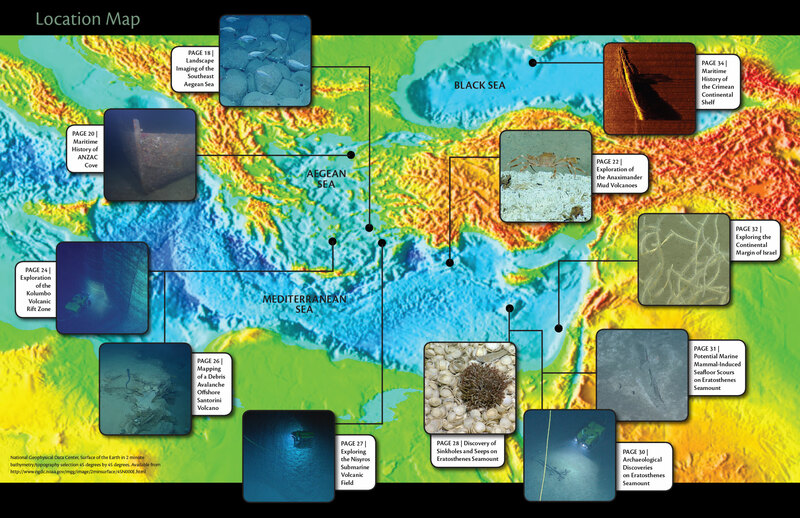 New Frontiers in Ocean Exploration: The E/V Nautilus 2010 Field Season. Oceanography 24(1), supplement, 40 pp, https://doi.org/10.5670/oceanog.24.1.supplement.